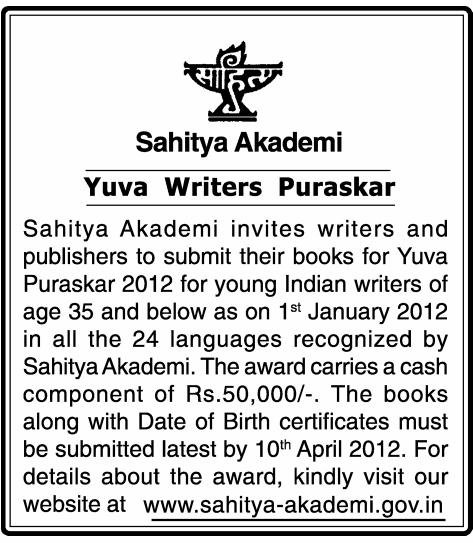 Sahitya Akademi invites writers and publishers to submit their books for Yuva Puraskar 2012 for Young Indian Writers of age 35 and below as on 1st January 2012 in all the 24 languages recognized by Sahitya Akademi. The award carries a cash component of Rs. 50,000.